Muslim clerics instruct community in eastern Jerusalem to refrain from selling property for fear of it being transferred to foreigners. The Council of Sages and Preachers in Al-Quds (the Arab name of Jerusalem -ed.) made clear on Tuesday that the transfer of real estate in Jerusalem to non-Muslims is considered one of the gravest crimes in terms of religion and nationality. In a statement, the Council said it is forbidden to remain silent in light of certain people's attempts to justify the transfer of the assets of the Jodeh family to Jewish ownership. The senior Muslim clerics stressed that a 1935 fatwa issued by the clerics of Palestine and which prohibits the sale of land to Jews remains in effect. They also called upon the Palestinian Arab public to take all possible measures to prevent the sale of real estate assets in Jerusalem, even to local Muslims or ones from abroad, for fear that the sale would be used to transfer ownership to Jews. 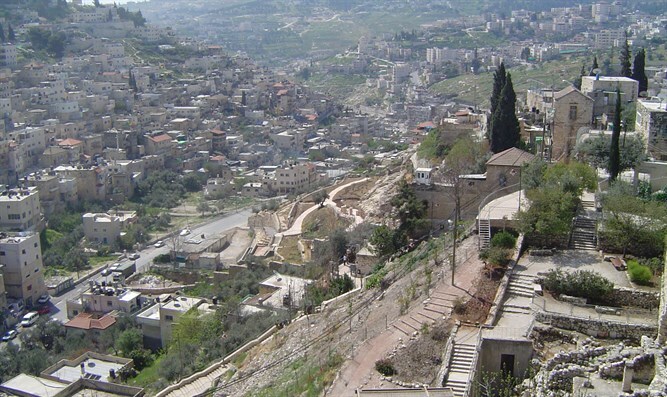 The “National Popular Council of Al-Quds” recently condemned the sale of residential buildings in the Old City of Jerusalem to "Jewish settlers and their settlement associations." It also described the sale of real estate to "Jews" as "a despicable crime against Al-Quds, Palestine and the homeland."